The Custom Personalized Printing Project involved a design from scratch for this multi products Woocommerce store built on a customized flexible WordPress frameworks selling custom made artwork printed on a wide range of materials from canvas to cloth to wood. 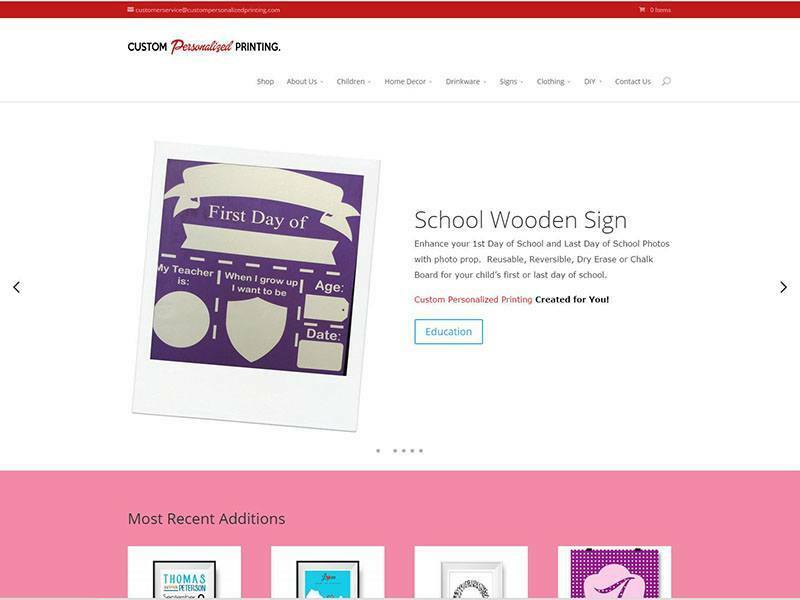 Unique to this website design and e-store is the ability for customers upload content to the store for custom printing of images and names on plaques etc as well as their own custom designs. The e-store accepts custom files, calculates shipping costs, taxes where applicable, issues and handles coupons, featured products and seasonal sales. PayPal is used as the transaction processor. Some personalized training was provided to the site owner, including a video tutorial , on how to update and add products to the e-store. This site was completed on time and within budget.